The Year of the Horse should be extremely promising for Sustainability Reporting. In the coming year, Susan Levitt tells us what to expect: "In Chinese astrology, Horse year is considered a fortunate year that brings luck and good things...... Energy is high and production is rewarded. Decisive action, not procrastination, brings victory. But you have to act fast in a Horse year. If you are not 100% secure about a decision, then don’t do it. Events move so quickly in a Horse year that you don’t want to gallop off in the wrong direction.....Keep in mind this year that Horse energy is free spirited, wild, willful, and independent. ...... Horse year is time to act fast, buy that home, launch that business, travel the world, make a big purchase, get a promotion at work, have a breakthrough – take a leap and fly." In the Sustainability Reporting world, that means.... publish your first Sustainability Report, move to G4 reporting, get a great new reporting consultant :). I love Chinese astrology, it's really quite interesting. I was first introduced to it by a French friend when I was living in Paris as a student. That was when I first discovered I was... wait for it... yes... of all things... a PIG. I became quite proud of being a pig. And I am a rather typical pig. Especially when I am eating ice cream. Consequently, I am looking forward to a wonderful 2014, as the pig in the Year of the Horse is by all accounts supposed to fare fairly well. This means I will be writing lots more Sustainability Reports, and having lots more after-report parties. Anyone who keeps horses may be interested in green horsekeeping. Or you might want to take a leaf out of the book of D’Arrigo Racing Stables, established in 1990, a thoroughbred training and racing farm in Cumberland County, N.J. D’Arrigo Racing Stables has demonstrated superb environmental best management practices such as minimizing storm water run-off, establishing controls to reduce soil erosion, maintaining a low stocking density, and meticulous pasture care - and even won a sustainability award. And if you are passing by the University of Oregon, you might make a short detour to visit the Sustainable Horse Demonstration Farm. As a tribute to the Year of the Horse, I did a quick PDF search on CorporateRegister.com to come up with reports that talk about horses. You may be surprised at the number of different ways horses appear in sustainability reports, most of them without really being horses. A super-sustainable hybrid Jag with 502 brake horse power. Wonder if they'll take my train pass as trade-in? The next Sustainability Report to hit the horse radar is the Growmark 2013 Sustainability Report. GROWMARK, Inc. is a regional agricultural cooperative based in Bloomington, Illinois. GROWMARK is owned by local member cooperatives and provides those cooperatives and other customers with energy products, crops nutrients, crop protection products, seed, structures, equipment, and grain marketing services. The only mention of horses is in the community section, where an animal shelter owner takes in dogs, cats and horses and was thrilled to receive food donations to help feed them. No horse photos, though. SanLucar goes even further in their community activities with horses. The SanLucar 2012 Sustainability Report references support for the therapeutic center “Pferde Stärken”, where therapy with horses for people with special needs is applied. Horses are also involved in sports and gaming and Ladbroke's 2012 Fair Play Report notes the economic contribution derived from a contribution to sport through advertising, sponsorship, and media rights payments and support for the horse racing and greyhound industries through taxes and voluntary funding. Another equine reference can be found in Consol Energy's 2012 CR Report, in the performance highlights of Consol's Central Appalachian operations. Reclamation activities are conducted alongside mining activities, and Post Mine Land Use (PMLU) requirements of Consol Energy's permits require Hay and Pastureland PMLU’s that support local farmers and landowners that raise horses and cattle. So, if ever you are in the Central Appalachian region, expect to see plenty of horses enjoying life to the full. I was intrigued when the Vestas Wind Systems report for 2012 appeared on the list of reports with a horsey mention. Where do horses and wind power come together? Did you know, for instance, that horse latitudes are "two belts of latitude where winds are light and the weather is hot and dry......The term horse latitudes supposedly originates from the days when Spanish sailing vessels transported horses to the West Indies. Ships would often become becalmed in mid-ocean in this latitude, thus severely prolonging the voyage; the resulting water shortages would make it necessary for crews to throw their horses overboard." I thought that the Vestas report might even make reference to the Wind Horse. "The wind horse is an allegory for the human soul in the shamanistic tradition of East Asia and Central Asia. In Tibetan Buddhism, it was included as the pivotal element in the center of the four animals symbolizing the cardinal directions and a symbol of the idea of well-being or good fortune." Imagine my disappointment when I realized that the horse reference in the Vestas Report is not really a horse reference at all. Rather it is part of the name of a School of Engineering which appears in the resume of one of the executive managers. I couldn't finish this horsey post without a frustrated reference to the Tesco and Society Report for 2013. And there are a couple of other references to the unacceptability of Tesco products being anything other than perfect. However, what I fail to find in the Tesco report is a clear description of specific actions taken as a result of what The Guardian called "the biggest food fraud of the 21st century", and specific plans to prevent recurrence. While it's good that Tesco admits to completely misleading customers regarding the content of certain food products, and completely botching certain supply chain quality processes, I personally find the glossy Tesco rhetoric in the 2013 report to be lacking in depth and accountability and transparency. People deserve better, and so do horses. So, in the coming Year of the Horse, in which Sustainability Reporting will flourish, beefburgers will be beefburgers, horse power will drive us forward, and horse therapy will help those in need, we pigs will apparently know great prosperity, and we hope you will too. With great respect for horses, I wish everyone a wonderful Chinese New Year. For all past, present and future followers of the CSR Reporting Blog, please be aware that you can download the first five or so years of the CSR Reporting Blog in three separate ebooks containing all posts and comments. 2012 -2013 (It says 2010 on the cover (!) because I forgot to edit it, but it really is 2012-2013) : Click here for PDF. Thanks to Bill Baue (@bbaue) who reminded me that I hadn't updated everyone about the blog books and to Tony Vives (@tonyvives) who made a recommendation in espagnol about a libro gratis en ingles to all the RSE folks. PS: This is the shortest post ever on the CSR Reporting Blog. Now you can check whether this is true by combing through five years of ebooks. Will you influence the future of sustainability reporting? There are some that say that governments will influence the future of sustainability reporting with reporting regulation. There are some that say that consumers will define what they want to hear from companies. There are others that think that NGOs are driving sustainability transparency forward. And academics, producing research on sustainability reporting, think they have the key to making it all work differently. All this is fine and every stakeholder group has the power to make a difference. But there is one additional way in which we can all influence the future of sustainability reporting and that's by giving recognition to the reports that inspired us for different reasons and helping them gain exposure. That's why, around this time of year, every year, voting in the CRRA online reporting awards has to be on the to-do list of everyone that has an interest in the future of sustainability reporting, which has proven itself to be a process which helps drive sustainability performance and yes, save the planet. Looking at the line-up for CRRA 14, there are over 50 worthy (some more, some less!) report candidates that are just waiting for you to take a look and vote. Note that these quotes are taken out of context, though I hope that this is not misleading in any way. However, perhaps this is why you may be intrigued to open up the report and take a look yourself. Ascendas Pte Ltd: "As a progressive organisation, Ascendas continues to be forward-looking and expeditious in adopting best practices." Bloomberg LP: "Data is the life-blood of policy-making and the capital markets. Even with the most sophisticated assumptions, regulations and financial models formulated on unreliable information are liable to miss the mark and, worse still, compound the problem." BMW AG: "For us, sustainability means: making decisions weighing up the environmental, economic and social aspects of our actions. But we also examine all decisions on sustainable activities with regard to their profitability. This pays off." British American Tobacco plc : "If you think nicotine causes most smoking-related diseases then you are not alone. Even some doctors believe this." China Southern Power Grid Co Ltd: "When most people have been enjoying modern convenience brought by electricity, there was a time when some people in the five provinces and region in South China did not have access to it but relied on kerosene lantern and pine tar for light. Modern civilization was far away from them." Chocolats Halba: "It is not possible to manufacture chocolate sustainably without procuring sustainable raw materials." Coca-Cola Enterprises Inc: "We have mapped our stakeholders into key groups and continually review this landscape to ensure we understand their views and are able to communicate effectively and respond to their concerns on issues of interest." Colas Limited: "Road safety has been identified as a key focus for our social responsibility. This issue is closely related to our operations and presents an important opportunity to make a big difference." Co-operative Group Limited: "With a history as long as ours it’s inevitable that we’ve experienced all manner of challenges, but throughout, we’ve always stuck resolutely to our Values and Principles and today is no different." Doosan Infracore Co Ltd: "The VC 630 / 5AX from Doosan Infracore is a high-rigidity vertical machining center capable of controlling five axles simultaneously. Functionality, productivity and operator convenience are all outstanding." Ernst & Young Americas: "While formal learning plays a crucial role in our people’s development, it is but one leg in the EYU “tripod.” Experiences and coaching form the other two legs and are equally important." Flughafen München GmbH: "Crises cannot be planned – but reactions to crises can be." Fromageries Bel SA: "Beyond the purely commercial act of buying something, consumers are looking for products that resonate with their own awareness of societal issues and desire for commitment, and the societal commitment they perceive in brands which they want to continue to trust." H & M Hennes & Mauritz AB: At H&M, we like to think of sustainability as a word of action, something we do rather than something we simply say." Hess Corporation: "Tragically, we suffered two separate fatalities in 2012, our first since 2008. These fatalities serve to remind us that our work to keep our people safe can never stop as we continue to strive to eliminate all accidents from our business. Hewlett-Packard Company: "We are committed to maintaining renewables as a part of our energy mix to make continued emissions reductions." Hydro Québec: "Hydro-Québec takes steps to prevent or mitigate noise from facilities near sensitive environments, such as residential neighborhoods. To prevent noise pollution, the company installs quieter equipment." IHS Inc: "Colleagues are passionate and understand that IHS is building a very unique company focused on providing tremendous value to customers, communities and stakeholders." International Flavors & Fragrances Inc: "Vanilla has global appeal that crosses cultures and demographics, making it one of the world’s most popular flavors." JSR Micro Inc.: "JSR Micro did not seek external assurance for this first report. However, to the best of our ability, we have confirmed that all information in the report is accurately disclosed and presented." Koninklijke BAM Groep nv: "The earlier we get involved in a development the greater the opportunity we have to influence the sustainability of the development at a lower cost." Korea Water Resources Corporation: "Communication with stakeholders is the best way for corporations to search for means to coexist with stakeholders." Kuwait Petroleum International: "Sustainable growth is embedded in our commitment and we bring it to our workplace every day to make sure this company has a sustainable future." La Trobe University: "To support the development of staff, the University invested over $2.5 million in staff training and conference participation in 2012, or $792 per full‑time equivalent on average." LG U Plus Corporation: "The donation fund accumulated through the employee Quit Smoking Program is used for the U+ Study Room of Love, which is a project for building a study environment for the youths of low income families. The Regional Children Center in Sangam-dong is designated as the Study Room of Love and the fund was used to install IT devices, redo the wall paper, and to exchange the boiler." Maynilad Water Services, Inc: "The Company is very strict to ensure that gender discrimination is not tolerated in any way. Employees’ salary and compensation are based on their performance and designations, but never on their gender." Microsoft Corporation: "The people who power our innovations drive our success." MillerCoors LLC: "Drunk driving fatalities are on the decline, and in 2011 were at record-low levels in the U.S."
MOL Group: "2013 could be just as challenging as 2012, taking into account slow economic growth in Europe or the tightening regulatory environment in many countries." Monsanto Company: "We live in dynamic times." Natura Cosmeticos SA: "A Natura consumer for 16 years, Geni Alves is a frequent buyer of perfumes from the Humor line. With a birthday party scheduled, she purchased the gift over a week in advance." Nizhny Novgorod Engineering Company - Atomenergoproek: "We are committed to responsible designing and construction of nuclear and thermal power energy facilities and acknowledge that functioning of Company’s subdivisions and branches, as any other anthropogenic activity, may lead to a negative impact upon the environment." Novelis Inc: "Aluminum’s infinite recyclability is the other essential component of its sustainability footprint, and recycling aluminum uses dramatically less energy than manufacturing primary aluminum." Novo Nordisk A/S: "Most annual reports these days talk about how the state of the global economy and the ensuing austerity measures put pressure on businesses. This report is no exception." Pacific Hydro Pty Limited: "In relation to energy infrastructure of all types, we believe that the community needs confidence in the regulatory and planning authorities and the information provided by them about wind farms." PanAust Limited: "We continue to be very impressed by the progress we observe in our Lao workforce." Port Metro Vancouver: "Canada is a trading nation. From coast to coast to coast, people rely on the goods that move through ports." Royal Dutch Shell plc: "The world is at the beginning of a transformation in energy use. Global population is rising, living standards are improving for many and more people are moving to cities. Demand for energy could rise by up to 80% by around 2050 as it powers rapid economic development." SK Hynix Inc: "There is a saying that the future, despite being unpredictable, is the present to those who challenge and create." SK Telecom Co Ltd: "When people and companies explore new possibilities for a better world, SK Telecom always stands by and works with them to be "happy together." Smithfield Foods Inc: "As a food company, we believe we have a responsibility to help feed families who are struggling to afford the food they need." STMicroelectronics NV: "Energy-efficiency and eco-design are now key consumer requirements for products." The British Land Company plc: "Our strong reputation for community engagement makes us more likely to become the partner of choice for local authorities and others." The Crown Estate: "We are privileged to own and manage some of the most diverse assets in the UK." Tieto Corporation: "Based on the employee survey, people feel that their competences are well matched to role expectations. We also rate our leaders higher than ever before." Toronto-Dominion Bank: "I have long held the view that a bank’s primary purpose is to create wealth in the real economy." Vancouver City Savings Credit Union (Vancity): "Where we allocate capital today determines our society's future health." Wilderness Holdings Limited: "Thirty years ago the founders of Wilderness fell in love with remote and wild places in Africa. They realised that many of these places were not getting the attention they deserved." Wm Morrison Supermarkets plc: "We also accepted smaller broccoli, leeks and swedes in our standard vegetable range and courgettes that were lightly marked by wind and rain." Go VOTE! Influence the future of sustainability reporting NOW! This is your chance! Do something to save the planet! Ok... I am getting carried away... but I do think it's important to give recognition to great reporters...so I think it would be great if you could include your voice. We are witnessing a leadership battle for ownership of sustainability transparency and it's not a good thing. Instead of playing to everyone's strengths, we are risking moving the needle back to only one strength. The state of everyone's bank account. The battle is being played out on the respective turfs of the IIRC, SASB and the GRI, where IIRC and SASB are focused on what investors want to know in order to make more money and GRI is focused on what companies are doing to the world that makes it more or less sustainable. If I were a publicly listed corporation, I would probably find myself rather confused, amused or bemused. Creating a harmonized corporate transparency pathway which enables consistent and non-overlapping disclosure frameworks does not need to be a lost cause, although it looks that way at present. Even the definition of a core concept such as materiality is not consistent across these three leading organizations, as explained eloquently by Dunstan Alliston-Hope and Guy Morgan of BSR in a great article to which I have referred in the past. As I was considering this fascinating state of affairs, I noticed that a few other accomplished experts have also discussed what Dwayne Baraka calls the disconnect in ESG reporting. In an article which outlines the strengths and weaknesses of the IIRC, SASB and GRI frameworks, Dwayne concludes that "each of the approaches will add something to various types of investors, and dialogue might increase, but companies and investors need to be involved if CEOs and responsible investors are to have a meeting of minds on the state of ESG reporting." Another article, by Cornis van der Lugt, an independent consultant and researcher with a sharp mind, was published back in May 2013, just after G4 was revealed, entitled "Time to align forces". This was his first message of caution: "Used in combination, IR1 [Integrated Reporting Framework version 1] and G4 can have significant impact on measurement and disclosure by companies world-wide. Yet used non-aligned, and perceived to be competing, years of work on non-financial reporting and corporate sustainability may be lost." Cornis goes on to present a fabulous evaluation of the IIRC and G4 frameworks and even offers his updated comparative analysis of both freely to all those who are interested. However, even before the pronouncements on the state of affairs post-G4, the chronology of this leadership battle for corporate sustainability transparency was already apparent. These are my observations from afar and some, possibly irreverent and highly subjective assumptions about what's been going on. Integrated Reporting is in the air. The May 2010 GRI conference ended up with CEO Ernst Ligteringen making a bold if not rather surprising declaration to 1,200 participants from over 70 countries. Two goals for the GRI. (1) By 2015, all large and medium-size companies in OECD countries and large emerging economies should be required to report on their Environmental, Social and Governance (ESG) performance and, if they do not do so, to explain why. (2) By 2020, there should be a generally accepted and applied international standard which will effectively integrate financial and ESG reporting by all organizations. This second element, the surprising one, was clearly an expectation that GRI would become an integral part of the fabric of anything the IIRC would eventually come up with. It was also a clear expectation that it was going to take quite some time - ten years to develop an international standard for integrated reporting. This was the twilight period. Everyone was optimistic that we could have it all. Eventually. There was a big buzz of excitement and anticipation when the IIRC was formed in 2010, called at the time the International Integrated Reporting Committee, with a lot of support from Prince Charles, who was moving full steam ahead with the Accounting for Sustainability Project at the time. IIRC (renamed in 2012 to Council rather than Committee) was chaired by Professor Mervyn E. King, the then Chair of GRI. Was this a conflict of interest? Apparently not at the time, when, to all onlookers, GRI and IIRC were completely full of themselves and of each other, and travelling along apparently parallel paths, euphorically optimistic that the solution to all the world's ills had been found in Integrated Reporting of the kind that would be jointly owned and nurtured by GRI with the IIRC filling in the gaps and making the connection to investors. Soon the landscape would look rather different. However, three GRI places were on the original steering committee and working group of IIRC, and the shared objective to create a globally accepted standard for accounting for sustainability was the glue that stuck everyone together. (Apart from money of course. Let's not forget that the original IIRC governance bodies were composed of 53 members of whom 31 (58%) represented financial services institutions or associations or the financial function of corporations in one way or another. Contrast this with the governance bodies of the Global Reporting Initiative which has always been a collection of elected representatives from corporations, NGOs, labor institutions, academic institutions, consulting firms and individual experts, representing all corners of the sustainability spectrum including human rights, environmental protection, labor standards, economic development and more. IIRC and SASB are squarely focusing on an investor audience and therefore target publicly traded companies, while GRI is focusing on any and all audiences, and therefore targets all organizations, including government agencies, SMEs, non-profits and trade associations who are not required to deliver Annual Reports, integrated or otherwise). The creation of IIRC was not entirely out of the blue. It followed the publication of the campaign book, One Report, by Eccles and Krusz, a heroic, if not a little rose-colored, effort to extol the benefits of integrated reporting, and the announcement of the South African Stock Exchange in June 2010, that listed companies would be required to deliver an integrated report if they wanted to stay listed, a coup-de-grace for non-reporting companies, masterminded by Mervyn King, the leading light in creating a pre-global South African Integrated Reporting Committee. The fact that King would ultimately find his home at the helm of the IIRC was probably not yet entirely predictable as, at this point, all seemed hunky-dory on the reporting horizon. In the GRI 2010-2011 Year in Review, the optimistic intertwining of IIRC and GRI is evident: "GRI’s Reporting Guidelines offer comprehensive and trusted guidance for sustainability reporting, and are an excellent tool for progressing towards integrated reports. GRI also aims for its Guidelines to be a provider of robust content for the forthcoming integrated reporting framework. GRI is present in the IIRC’s Secretariat and Committee, and in its content Working Groups and task forces." Leaving the GRI to go dedicated at the IIRC, Mervyn King signals where he sees the future. Optimistic nevertheless that this is a shared future, GRI makes King an Honorary Chairman and says: "Professor Mervyn King has been an outstanding Chairman for the Global Reporting Initiative, pushing the sustainability reporting agenda forwards in pursuit of a sustainable global economy. GRI congratulates Professor King on his new appointment and as an active member of the International Integrated Reporting Committee the GRI is looking forward to continue to work closely with Professor King in the important endeavor of promoting the development of Integrated Reporting." Nonetheless, this divorce, amicable though it may be, sends a message to the aspiring Integrated Reporters of the world: Investors are King. (No pun intended). The Chief Exec of GRI, Ernst Ligteringen, however, remains in the loop as a Board Member of IIRC with its reorganization in late 2011. During the period up to the publication of the Integrated Reporting Framework in December 2013, IIRC is generating quick wins and momentum for integrated reporting. It gets the concept on the agenda at Rio, and a declaration (the famous Paragraph 47) which talks of "integrating" sustainability information in to the reporting cycle", publishes a draft integrated reporting framework for public comment and a consultation draft and establishes alliances and memorandums and a pilot program and more. Driving forward relentlessly, IIRC pretty well overlooks, it seems, a similar major reporting event which is taking place at the same time. The new-improved GRI Reporting Framework. In October 2012, the newly-formed full-of-promise Sustainability Accounting Standards Board put out a press release claiming that "SASB will be the U.S. voice for material non-financial issues and how to recognize and account for them as part of corporate reporting." With bold plans to create a Materiality Map and a series of sector-based standards that identify material non-financial issues that should be included in mandatory reporting by publicly traded companies, SASB starts to shake up the mix. Notably at this point, SASB maintains a distance both from GRI and from IIRC, carving a place for itself on the reporting landscape which will rather disturb the status quo and leave corporations even more challenged and possibly, amused, bemused or confused. Just as both GRI and IIRC are developing their respective frameworks, an MOU is signed between the two organizations, declaring that both parties will proactively engage with each other by sharing information and striving for "complementarity" in their respective frameworks. Shame they didn't agree to agree on a definition of materiality. That would have been an MOU with teeth. Instead, GRI made some more tangible resource commitments to IIRC. IIRC made rather fewer to GRI. May 2013 was alive with the sound of eager applause at the GRI conference in Amsterdam, hailing the new G4 as the superhero way forward for sustainability reporting, with a materiality focus, and a shorter, sharper, cleaner, quicker way to relevant corporate transparency. Although ditching comparability, the process-oriented G4 framework was seen by (almost) all as a massive improvement on previous GRI reporting framework iterations and would substantively change sustainability reporting for the better. Oops. Just one thing missing. Despite the stated objective of creating a sort of plug-and-play sustainability element which would fit snugly into integrated reports, by "offering guidance on how to link the sustainability reporting process to the preparation of an Integrated Report aligned with the guidance to be developed by the International Integrated Reporting Council (IIRC)" the G4 framework excluded all serious mention and reference to integrated reporting and all guidance relating to the process linkage. Why? Well, the IIRC was powering up full steam ahead with its own framework, and apparently didn't have the time to stop to think about how G4 could work to its advantage. Or it thought that G4 wouldn't work to its advantage. The official line was that the timelines for these two developments were different. In 2013, GRI also demonstrated an interest in the progress of integrated reporting and led a piece of research which examined the sustainability perspectives of existing integrated reporters and other experts. One of the key conclusions placed G4 squarely into the round integrated reporting peg, describing GRI as "a compass of sustainability" saying that "Some of them [reporters] want to see GRI hone key performance indicators specifically from the perspective of integrated reporters. Others appreciate how GRI ‘opens their eyes’ to the breadth of potential sustainability concerns for their business, and find the GRI reporting process a good reference point as they construct an integrated report. As one pioneer put it: ‘GRI guidelines helped us right from the start to answer the question: what does it take to be a sustainable company?’"
Hot on the heels of the publication of the G4 Framework came the IIRC Framework, in December 2013, announcing that the framework marks "an important milestone in the market-led evolution of corporate reporting." The definition of the Integrated Report, in the framework is: "a concise communication about how an organization’s strategy, governance, performance and prospects, in the context of its external environment, lead to the creation of value over the short, medium and long term." And we are left in no doubt about who the Integrated Report is designed to communicate this to: "The primary purpose of an integrated report is to explain to providers of financial capital how an organization creates value over time. It therefore contains relevant information, both financial and other." Conspicuous by its omission in the < IR > Framework is any mention whatsoever of GRI. The word "sustainability" appears only twice. There can be no mistake that Integrated Reporting is not about sustainability impacts. It's about helping investors make financial decisions. If it happens that a sustainability impact is so unquestioningly obviously financially material, then it will merit inclusion in the integrated thinking and writing of the Integrated Report. Regrettably, or otherwise, that may exclude most of what is included in sustainability reporting. The < IR > framework ignores GRI, MOU or otherwise. GRI believes that sustainability reporting is a prerequisite for integrated reporting but in fact, it's not. Because nowhere in GRI - or in G4 - is the link explicitly made between sustainability issues and business profitability or shareholder return. And nowhere in < IR > is the link explicitly made between sustainability impacts and financial outcomes. Perhaps it's time we stopped thinking of Integrated Reporting as an evolution of both Annual and Sustainability Reporting and accept that reality is different. Integrated Reporting plays an important role in filling in the gap between top line and bottom line, and ensuring that the value-creation radar screen is not too narrow. Sustainability Reporting plays an important role in ensuring companies account for their impacts on all stakeholders. These are two purposes, two roles and despite the existence of a compelling connection between the two, no organization has successfully delivered a framework which encompasses both in a substantive way. And still, the MOU game continues. This month saw the signing of an MOU between the IIRC and SASB "to more closely collaborate to advance the evolution of corporate disclosure and communicate value to investors...... Among other measures, SASB and the IIRC agree to strive for complementarity and compatibility in the ongoing development of their respective frameworks, guidelines and standards, and take proactive measures to share the work of the other organization." There's that complementarity thing again. If only we could save the world by signing MOUs and preaching complementarity, we would all be able to sit back and take a long rest by now. So far, in eight rounds, no single framework has emerged a clear winner. Sustainability Reporting is firmly entrenched and G4 is looking promising with uptake starting to emerge. The token number, growing though it may be, of integrated reports, some of which are evidence of integrated thinking and some of which are evidence of little thinking, is unlikely to increase substantially unless we see that investors are not only demanding, but using, these wonderful new documents. SASB is a great concept and has made fabulous progress in practice, but we have yet to see the detailed SASB standards being widely applied in any sector. In short, the fragmentation and apparently competitive battle for sustainability transparency leadership has not yet favored any of the protagonists in an outright way, which might suggest that time and energies might be more productively used in working together rather than working apart. (1) Recognize that G4, < IR > Framework and SASB Standards CAN each deliver unique and equally valuable elements of corporate transparency and accountability. (2) Harmonize the definition of sustainable business materiality and other key definitions across all frameworks. (3) Agree that < IR > is the standard for Integrated Reporting and that, as such, it must include a reporting against a set of common core sustainability material issues relevant to all businesses with linkage to business outcomes and financials, with harmonized performance indicators and methodologies to measure these. (4) Agree that G4 is the standard for sustainability reporting and that the material issues identified through the sustainability process must reference business outcomes, irrespective of where they occur in the value chain. Companies producing only one (integrated) report would be advised to include core material issues as identified in (3) above, and a set of sustainability material issues as required by G4. (5) Agree that SASB have got the sector materiality process nailed, and encourage the adoption, with perhaps some adaptation for non-U.S. non-publicly traded entities, of SASB standards in integrated and sustainability reporting without duplicating all that's being done in separate processes. (7) Agree to do things once and not three times, where reasonably possible. (8) Agree to be inclusive and not competitive, while retaining focus, where reasonably possible. (6) Have a celebratory ice cream, and get to work. Who says that CSR doesn't sparkle? At Tiffany's it certainly does, in more ways than one. Just take a look at Tiffany & Co.'s third Corporate Responsibility Report covering fiscal 2012, and you will see lots of sparkles. Sparkle 2: An introductory message from a CEO who is committed to responsible practices. Michael J. Kowalski is known in the industry as a driving force behind responsible mining and a chain of custody mindset. Take a look at this old but absolutely still relevant case study from Wharton back in 2004. Sparkle 3: Industry leadership in responsible mining, and a variety of engagement frameworks to advance the standardization of responsible industry practice, including a statement on hard-rock mining. This includes a very firm declaration: "If reforms are to succeed, we believe that taxpayers must be fairly compensated for minerals taken from public lands, protection of the environment must be enhanced and business certainty for companies and communities dependent on mining must be improved." Sparkle 4: An interesting section on how Tiffany & Co. supports beneficiation - a concept which doesn't find its way into too many sustainability reports as its rather sector-specific, but in the mining and minerals sector, it's well-known. There is a whole branch of economics devoted to beneficiation in South Africa, and a national beneficiation strategy. Essentially, beneficiation means adding processes which increase value - for example, cutting and polishing diamonds in the country of extraction adds local economic value and increases the value of exports, providing greater benefit to local populations. Tiffany & Co.'s operations in Botswana, Namibia and South Africa employ over 90% locals and in 2012, over $90 million was added to these economies through beneficiation. Sparkle 5: This is three sparkles rolled into one. A GRI Index (undeclared level), a UN Global Compact Communication on Progress (Tiffany & Co. has participated since 2011) and a detailed Assurance Statement covering a range of metrics and detailed methodology of factors used in all calculations. A well-rounded set of reporting communications which demonstrate commitment and alignment with key transparency and disclosure frameworks. Tiffany & Co. will be featuring at the third annual Smarter Sustainability Reporting Conference in London on 25th February 2014. I will be there (yep, doing the chairing thing again), and am especially looking forward to meeting Anisa Kamadoli Costa, another one of Tiffany & Co.'s sparkles. Anisa Kamadoli Costa is Chair and President of The Tiffany & Co. Foundation and Vice President of Global Sustainability & Corporate Responsibility at Tiffany & Co. Anisa leads the global corporate responsibility and sustainability function at Tiffany & Co. and manages the annual philanthropic giving portfolio of $6 million of the Tiffany & Co. Foundation. 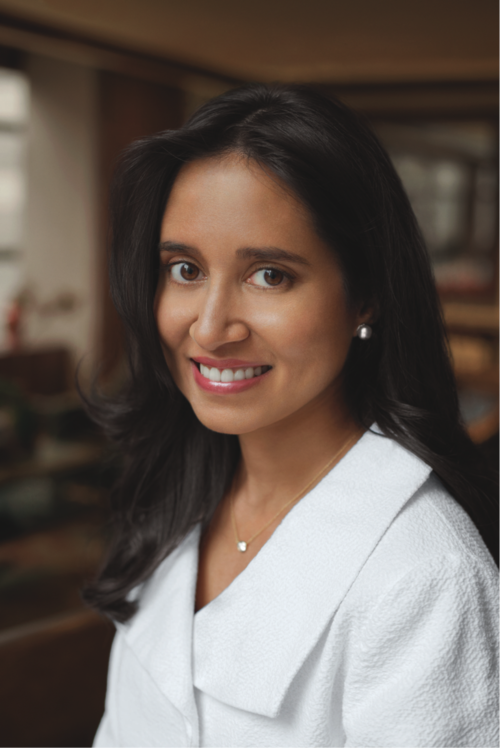 Prior to joining Tiffany & Co., Anisa worked at the Rockefeller Brothers Fund. Anisa serves as Chair of the Board of the Environmental Grantmakers Association, a group composed of more than 220 foundations from the U.S., Canada and Europe representing over $1 billion in environmental grantmaking. I asked Anisa a few questions in the run-up to the Smarter Sustainability Reporting Conference. She was very generous with her time and open in her replies. Read on. Tell us about your professional background and how you came to be Vice President-Global Sustainability & Corporate Responsibility at Tiffany & Co. What specific experience prepared you for this role? When I joined Tiffany & Co. 10 years ago, I came to the Company with a multi-disciplinary background, which has certainly fit into the global nature of our sustainability work. Factoring global perspectives into sustainability is critical to our efforts at Tiffany & Co. My graduate degree is in international affairs from Columbia University’s School of International and Public Affairs (SIPA) and I have worked in both finance and private philanthropy. Through my dual role overseeing sustainability and philanthropy for Tiffany & Co., we have strategically aligned our philanthropic giving with our Company’s sustainability efforts. Strategic philanthropy is a key pillar of Tiffany & Co.’s sustainability work, with a particular focus on responsible mining and coral and marine conservation. How is your CSR team composed? Sustainability has always been a part of Tiffany & Co. and is central to how we operate as a luxury brand. Our commitment to sustainability was formalized in 2009 with the establishment of the CSR Committee of the Board of Directors as well as my department. I report directly to Michael Kowalski, Chairman & CEO of Tiffany & Co., who is extremely knowledgeable and passionate about the environmental issues that the Company addresses, such as responsible mining. The fact that our team has such strong senior-level support allows us to collaborate closely with internal and external stakeholders and to continue to lead our industry. How involved is the Board CSR Committee in your work? Do you find this to be helpful? 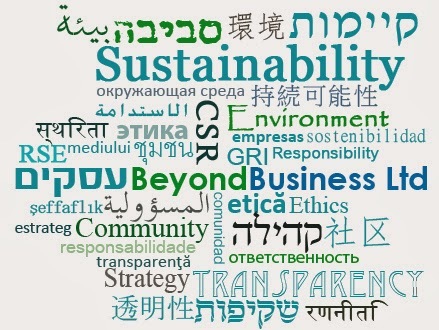 The CSR Committee – and in fact the entire Board of Directors – is committed to sustainability and continues to demonstrate that it is a business priority for the Company. This high level leadership emphasizes the importance of sustainability to our business. It is not just the right thing to do, but a smart business decision that I believe improves the long-term strength of our company and our industry. For many years, the focus of Tiffany & Co.’s sustainability work has been on responsible mining and the responsible sourcing of our raw materials, ranging from diamonds and gold to the paper in our iconic Blue Boxes and bags. Responsible Sourcing continues to be a key priority for us moving forward. There are two timely mining issues that we are addressing, that will be crucial over the next year or so. Tiffany & Co. is a founding member of the Initiative for Responsible Mining Assurance (IRMA), which seeks to develop true third-party, multi-stakeholder standards for responsible mining. I have been involved in IRMA since 2006, and through this process we collaborate with representatives from industry, nongovernmental organizations (NGOs), impacted communities, labor organizations and others, who are all equal participants in the development of the standards. IRMA’s draft standards will be released for public comment in 2014 and piloted in 2015. We value the role that true third-party processes play in raising the bar for our industry and believe in this process as critical to improving standards for responsible mining. Because of our commitment to the preservation of the natural world, we are raising awareness of the risks associated with the development of the proposed Pebble Mine in Bristol Bay, Alaska. Bristol Bay is home to the world’s most productive salmon fishery, which would be devastated by one of the world’s largest open-pit gold and copper mines. We believe that Bristol Bay is a special place where mining cannot be done without forever destroying its wildlife, landscape, and community, and we have publicly declared that should the Pebble Mine be developed, we will not source gold from it. Additionally, the United States Environmental Protection Agency (EPA) has authority under the Clean Water Act to block the mine, and they have conducted an assessment to evaluate the impact of large-scale mining on the watershed. The next year will be crucial in the protection of Bristol Bay. Is there a conflict between luxury brands and CSR? Is this something that gets discussed at Tiffany & Co.? I actually don’t see a conflict between luxury and CSR as it pertains to Tiffany & Co. As a luxury brand with a 177 year history, we believe that our customers put their trust in us to operate responsibly and to ensure that the jewelry we craft was created in an ethical and responsible way. We take that responsibility seriously and strive to live up to those expectations, ensuring that sustainability considerations are a part of our decision-making processes. What's Tiffany & Co's record in responsible mining? Are you leaders or followers? Do you get many approaches from activists? Under the leadership of Michael Kowalski, our Chairman and CEO, Tiffany & Co. has placed a priority on responsible mining issues for nearly 20 years. We source the majority of our precious materials from mines we know, and have traceability and control throughout our supply chain. In addition, we have a long history of collaboration with the nonprofit sector and strongly value the role they play in improving mining standards around the world and representing civil society’s perspectives in these challenging issues. Who do you expect to be the main audience for your report? How do you ensure that your report gets noticed? We have a very robust sustainability website, which we use to communicate our sustainability initiatives to all of our stakeholders. We launched our sustainability report in 2011. It is a web-based report, allowing access to a variety of audiences such as our customers, employees, investors, NGOs, the academic community, government and our business partners. The website offers different levels of information so visitors with varying interests can find what they are looking for on the site. We are committed to using the Tiffany brand to increase awareness about the issues we care about, and our website is one tool for that. Thanks to Anisa, and to Tiffany & Co. for an education in beneficiation. I guess I will be seein' y'all in London in a few weeks, then, right?